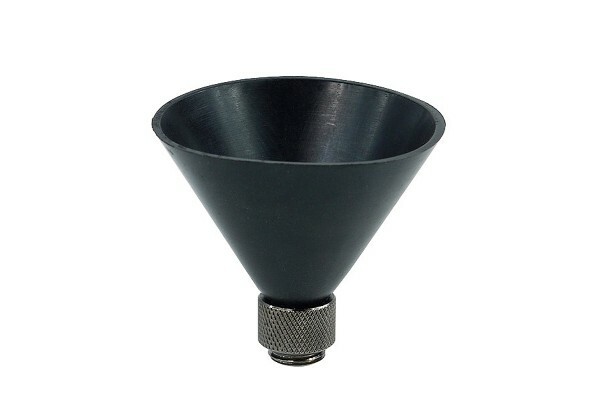 Made from black plastic this funnel can be used in many places to help with filling of a water cooling system. Of course the main application is use on the reservoir or the Fillport. This funnel makes filling much easier than having to pour through a small 1/4" opening. Another possibility to use this funnel is integrating it into the cooling loop with a T-piece. The advantages over a common funnel are simple but very important: The funnel cannot slip and the short bottom part makes it easy to handle even in small spaces. This funnel should be part of any good water cooling user's tool box!